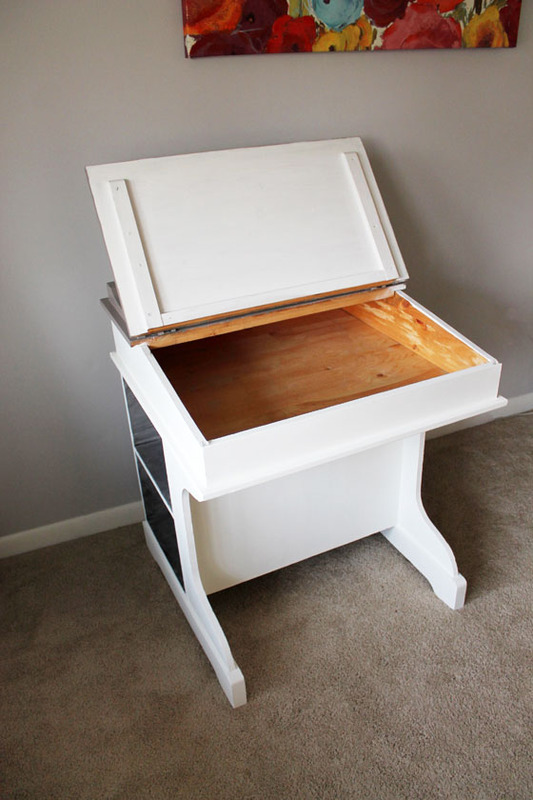 One of the big furniture projects I recently tackled was an overhaul of a kids’s desk. 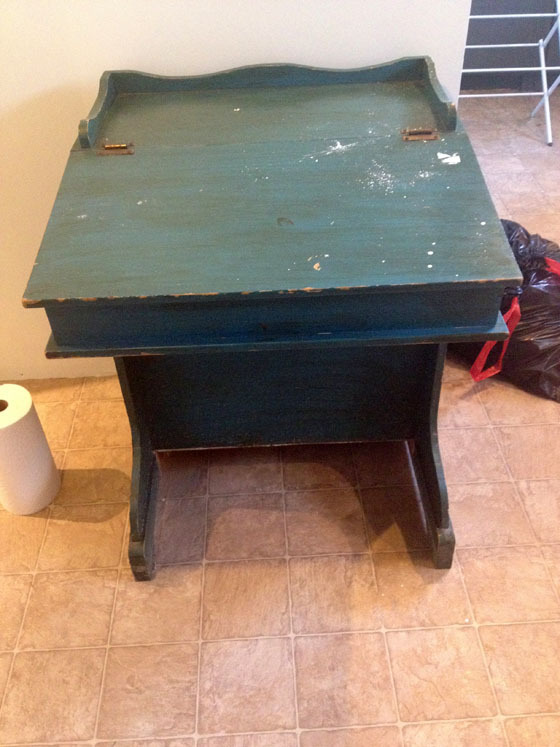 I found this awesome desk at a thrift store, but boy did it need some love. I immediately had grand visions for this desk and let me tell you, they didn’t include the mermaid blue, shabby shic look. So I painted, painted and painted some more. 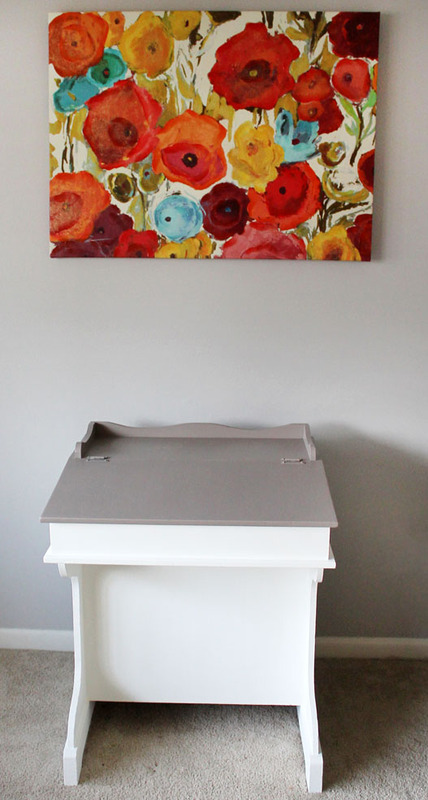 Again, I used a flat white paint and mixed in some Paint Minerals. This stuff gives the paint a chalky finish to it and leaves the surface very smooth. So far, I’m really pleased with how the Paint Minerals works with the paint. You don’t need to sand or prime and it covers really well. I wanted the book shelves on each side of the piece to pop, so I painted a metallic glaze inside each shelf and then wiped each shelf down with a rag. It created a messy-ish sort of look in each cubby that I really like. 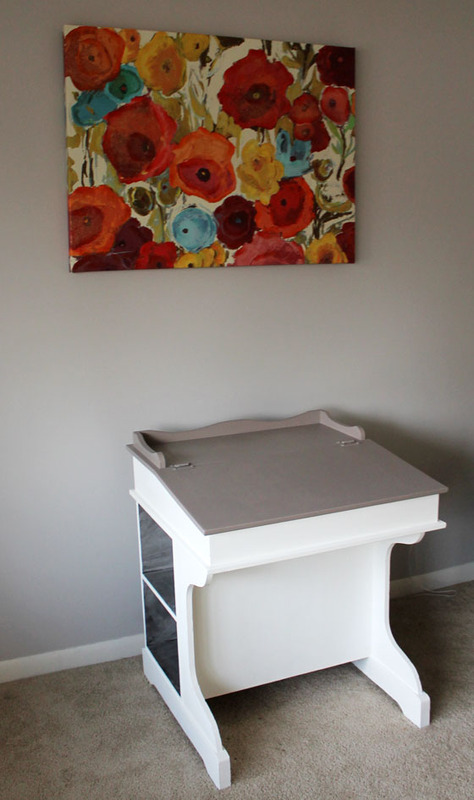 For the top, I painted with a gray-brown chalkboard paint. Some kid is gonna love this desk. I waxed the whole piece using Johnson Paste Wax. This was my first time using a furniture wax and it left my piece feeling so smooth to the touch. I think this desk was definitely transformed for the better.